Bravo! Sonoff can work with Alexa now! You can ask Alexa to turn on/off the device. Home automation is "The Internet of Things".It simply means the way all devices or appliances are networked together to provide users with a seamless control over their home equipment. Sonoff is an affordable device that provides users with smart home control. It is a WiFi based wireless switch that can connect to a wide range of appliances . Sonoff transmits data to a cloud platform through the WiFi Router, which enables you to remotely control all the connected appliances, via the mobile application eWeLink. The server of Sonoff is Amazon AWS global server. Sonoff makes all home appliances smart. As long as the mobile has network, users can remotely control the appliances by turning them on off from anywhere at any time. Another feature available is to set timing schedules for the appliances, which can include countdown, scheduled on/off, and can thus, help users maintain an easy life. The mobile application eWeLink enables users to control the appliances easily. The iOS version of the application can be downloaded in App Store while the Android version in Google Play. Note: this Sonoff does NOT have 433Mhz RF remote capability. 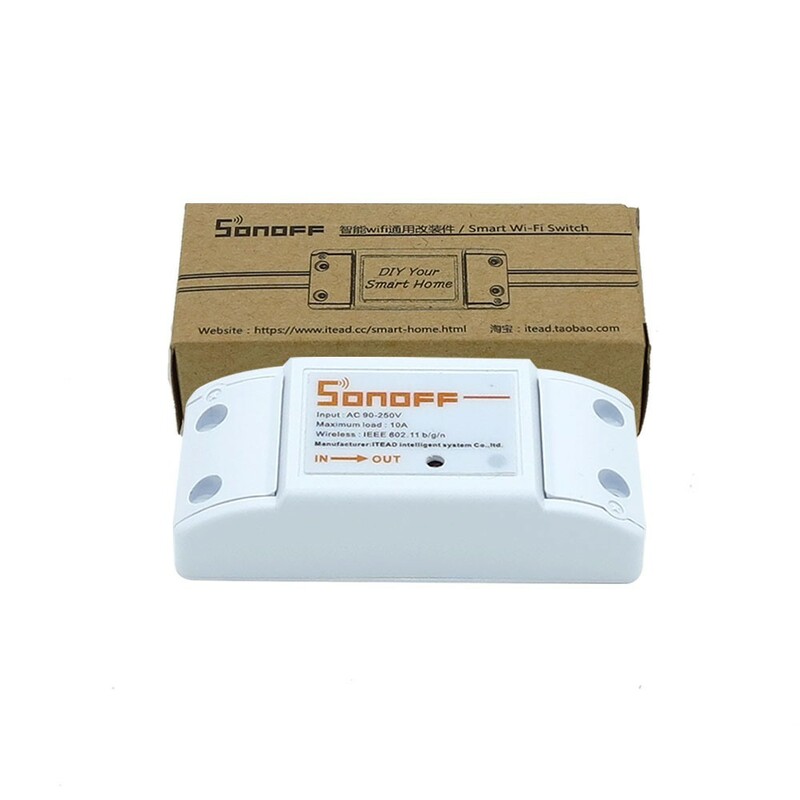 If you want RF function, please buy Sonoff RF. Support status tracking, home appliances status timely feedback to your App. Support remotely turn on or off added devices. Support Max 8 timing tasks for each added device. Support numerous WiFi smart switches one smart phone.